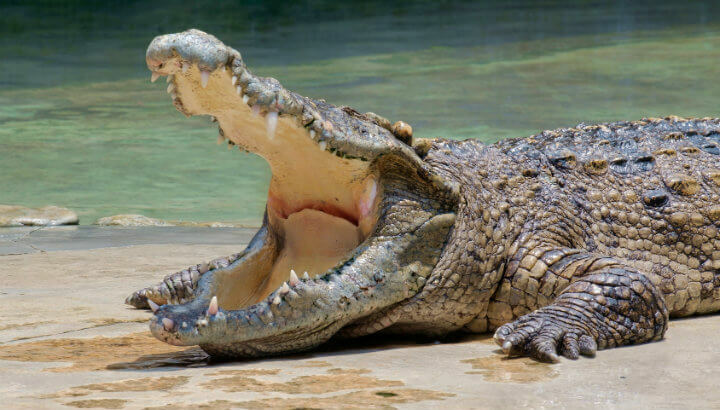 In 2000, an 800-pound, 14-foot alligator was found sunning himself on a boat dock in Lake Talquin, Florida by a trapper. His size prompted state wildlife authorities to deem him a nuisance, and they ordered him to be euthanized as required by Florida law. But the trapper who found him, ironically, became his savior and Mighty Mike found a new home at the Newport Aquarium in Kentucky — after traveling the nation as an ambassador for American alligators. This fall, Mighty Mike will return to his home state of Florida, to the Crocodilian Conservation Center in Frostproof, to continue to serve as an ambassador for wetland ecosystem conservation. Alligators are native to Florida and the southeastern U.S. 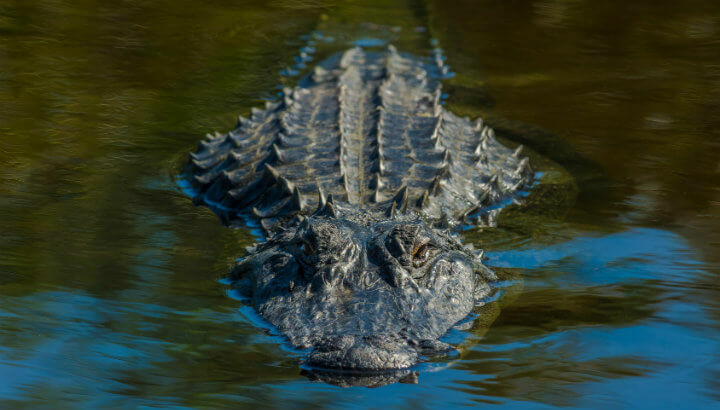 Mighty Mike’s new home, the Crocodilian Conservation Center of Florida, was founded in 2010 with the goal of establishing a facility and interpretive center to hold space for endangered crocodiles and alligators on 16 acres. 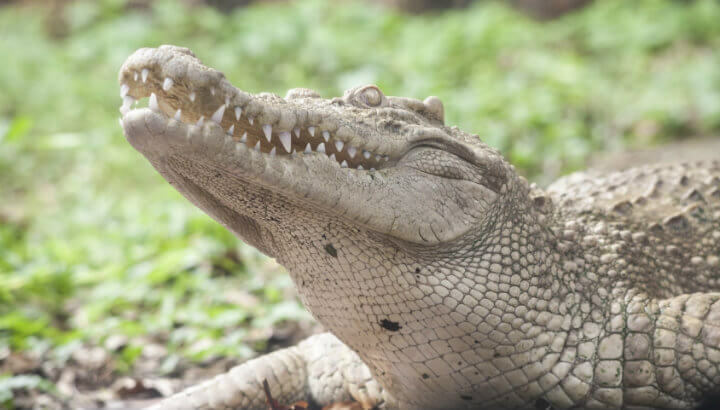 The facility provides access to endangered and unusual crocodilians — like Mighty Mike — to researchers and visitors alike. Until September, Might Mike will remain at Newport Aquarium, which is accredited by the Association of Zoos and Aquariums, an organization focused on wildlife conservation. Alligators have few predators aside from humans. The American alligator was removed from the U.S. Fish and Wildlife Service’s Endangered Species List on June 4, 1987, only 20 years after the Endangered Species Preservation Act (1966). Before the 1960s, alligators thrived — they’ve been around for 250 million years and some extinct varieties grew to be more than twice the size of Mighty Mike. America alligators enjoy a native habitat that stretches from North Carolina to the Rio Grande Valley in Texas. They’re typically found in slow-moving, freshwater rivers, but they also live in marshes, lakes and swamps. Carnivorous in nature, alligators have jaws that are strong enough to crack a turtle shell. No wonder they’ve been mostly safe from extinction for a vast majority of their life! 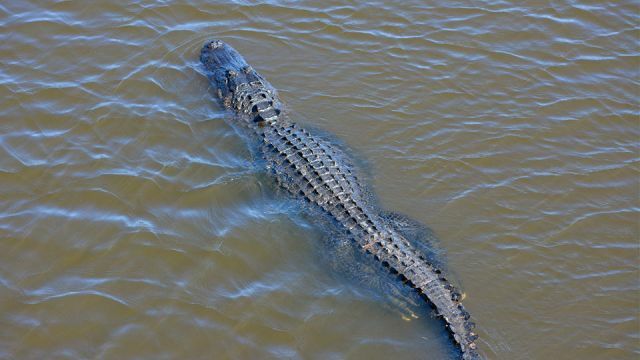 They can live up to 50 years in the wild, and once they reach a length of four feet, they’re safe from all predators, except the occasional alligator and humans. As with any animal on or off the Endangered Species List, learning about the American alligator is key to its continued preservation. Education is the key to conservation of alligators. 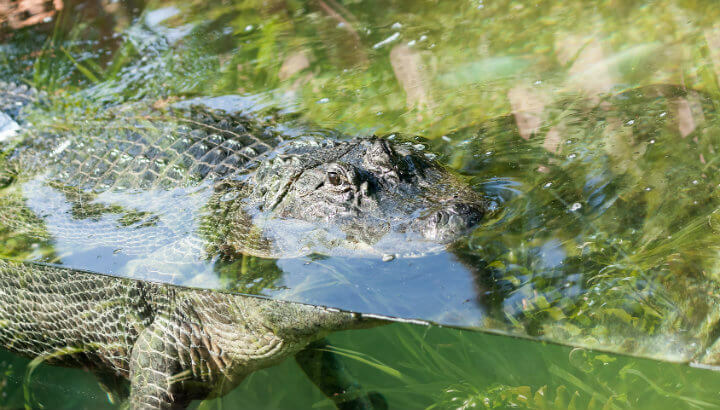 “Getting the public to understand and appreciate these animals has been a critical factor in helping the American alligator achieve sustainable populations after being listed as endangered for decades,” said Eric Rose, Newport Aquarium’s executive director in a statement. Today, the American alligator is thriving, but its subpopulation, the American white alligator, is in danger of extinction. White American alligators or either albino or leucistic, which means that they have lost partial pigmentation of their skin and scales, but not of their eyes. Due to their unique pigmentation, these alligators don’t experience the same level of protection afforded to their counterparts — they can’t blend in well with the environment. They also have a harder time ambushing their prey, which makes it hard for them to catch a meal. White alligators and crocodiles are endangered: they can’t hide from predators or prey. Today, there are fewer than 100 known white alligators across the globe. Newport Aquarium, however, has been home to two American albino alligators — a male named Snowball and a female named Snowflake — and the aquarium hopes to encourage the two to mate as a way of bolstering the subpopulation. Want to help alligators have a fighting chance against humans? Check out what the Smithsonian’s National Zoo and Conservation Biology Institute recommends. Hey Buddy!, I found this information for you: "Kentucky Aquarium To Return 14-Foot Alligator To Conservation Center In Florida". Here is the website link: https://www.thealternativedaily.com/kentucky-aquarium-to-return-14-foot-alligator-Mighty-Mike-to-florida/. Thank you.